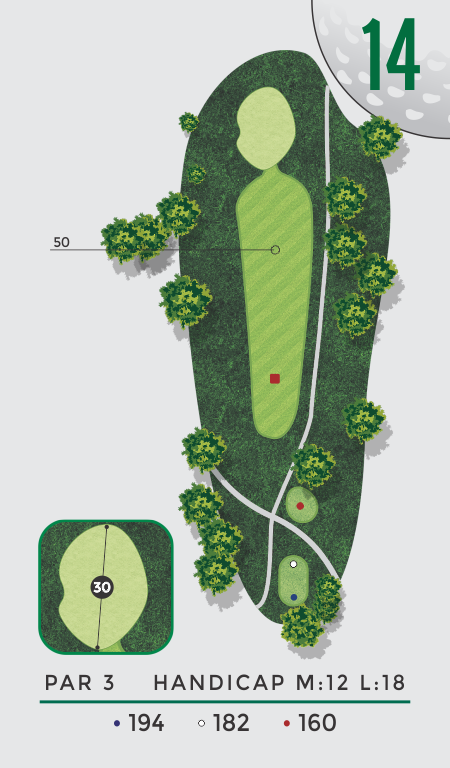 This straight-away 185 yard par 3 demands a well-struck long iron or fairway metal wood to a relatively flat putting surface. If your tee shot is miss hit, pitch into this green just a few yards short of the fringe. A par here is a good score.